A tasty twist on a classic dish. In just 20 minutes, this burrito could be on your plate and ready to eat. Heat oil in a large frying pan over medium heat. Cook onion for 5 minutes until softened. Add beef and cook for 5 minutes, stirring to break up lumps. 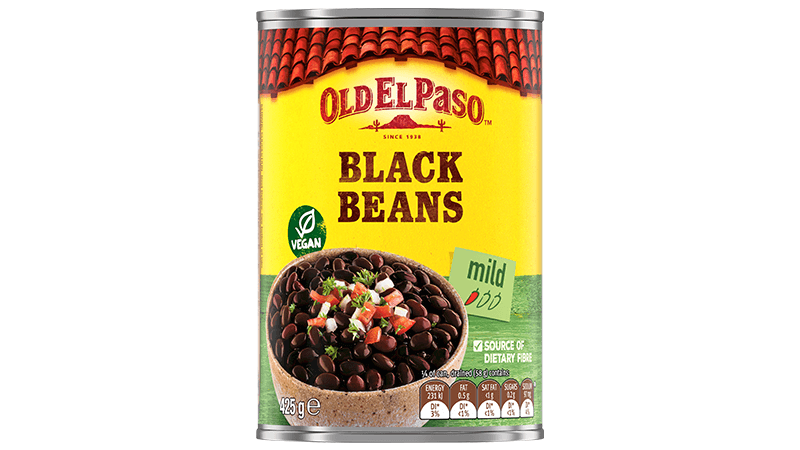 Add Black Beans, Burrito Spice Mix and 3/4 cup water, and stir. Cook for 3 minutes or until thickened. For toasted tortillas , heat a non-stick frying pan over a medium heat and brown each tortilla for 10 seconds on one side only. 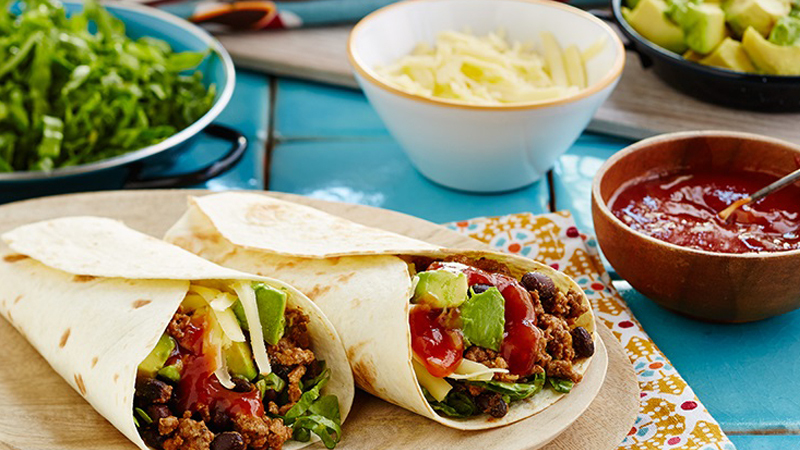 Wrap in a tea towel until ready to serve. 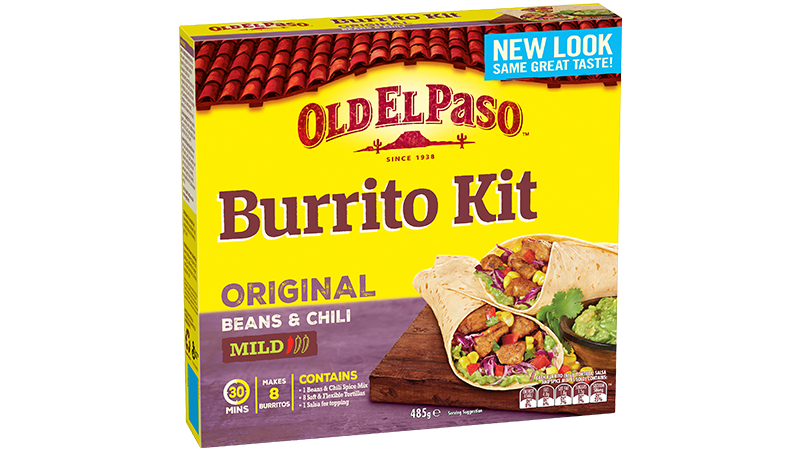 Build your own burrito with lettuce, beef and bean mixture, cheese, avocado and Mild Mexican Salsa.